Polar Frost Kinesiology Tape is a thin, stretchy, elastic cotton strip with an acrylic adhesive. Kinesiology tape can effectively relieve both acute and chronic pain. Its elasticity lifts the skin slightly, which immediately reduces pressure on sensitive pain receptors under the skin. 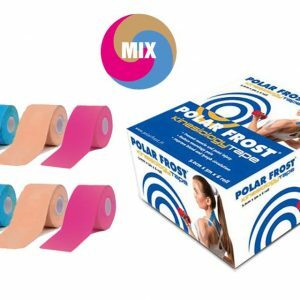 Polar Frost Kinesiology Tape is used for treating athletic injuries and a variety of physical disorders.